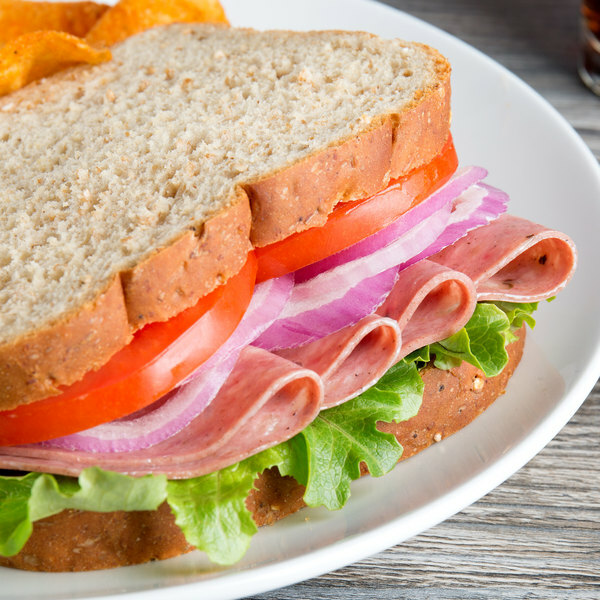 Create delicious traditional South Philadelphia style hoagies or delicious snack trays with this premium Freda Deli Meats 6 Ib. Coteghino. This Italian-style traditional meat is made from a premium blend of pork snout and beef and cured with water. 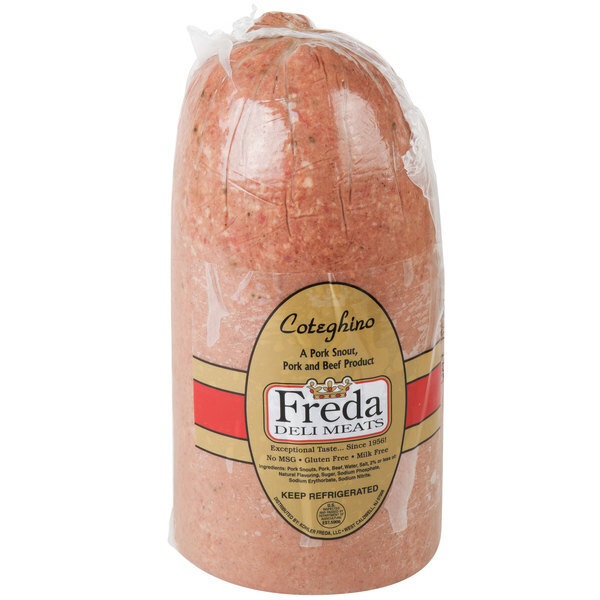 Coteghino is a type of sausage and it has a natural flavoring with a small amount of spices for taste. Plus, it conveniently comes ready for you to cut or slice so you can serve your hungry customers. Cut this meat into larger chunks and pair it with lentils, polenta dishes, or mashed potatoes to create a tantalizing and well balanced entree dish. Or, slice it into thin pieces and pile it high on Italian hoagies and other artisan sandwiches to enhance your menu offerings. You can even add it to pizzas as a topping and create an authentic Italian food experience for customers. 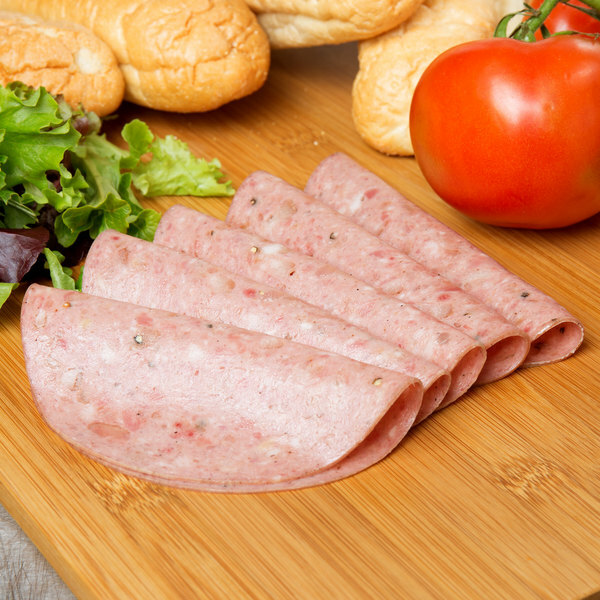 This deli meat is free of MSG for a natural, quality product.